The 107 acres spread of land; dedicated to memory of Dr B.R. Ambedkar is one of the major attractions of the Nazakat & Nafazat ka sheher Lucknow. 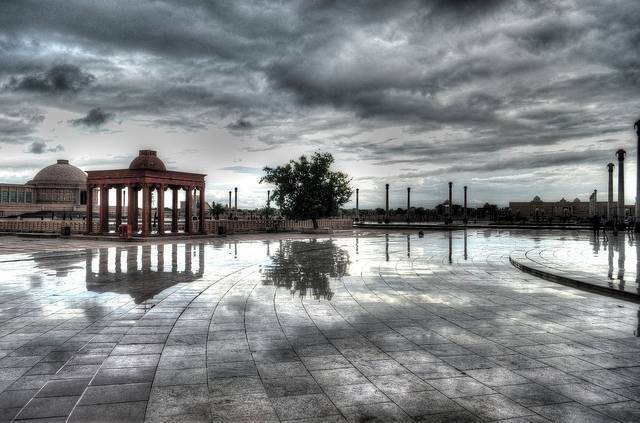 The Ambedkar Park or Ambedkar Memorial has dynamic fountain installed within the park that draws huge public attractions. The main entrance to the memorial is guarded by statues of 62 elephants on either side of the gate. There is an 80 feet tall pyramid type pillar, which is located on the back of Pratibimb Sthal, from here you can have a complete view of the entire area. There is a waterfall wherein water falls from the top of the pyramid that actually is fascinating and attracts visitors. The park is the best option for an evening stroll, family outing and even picnics.